October 8, 2014 October 8, 2014 | Jodi-Kay E.
April 18, 2014 | Jodi-Kay E.
Closet confidential tag, what’s in your closet? April 17, 2014 | Jodi-Kay E.
Hahah okay I swear this is THEEEEEE last time I make this announcement. I can be so indecisive sometimes though. Okay so I’m finally going in the direction I wanted to a few months ago and decided to start all over. While mid-day spritzer is a lifestyle fashion blog, it’s really a place where I just write about whatever I feel like, post those random pics from my iphone and lust over things that I probably shouldn’t buy. I created LIFESTYLE FINESSE as a more professional outlet where I could connect with business and people as well for building my clientele. Business and pleasure so to speak. Once again I would reallllly appreciate if you guys could continue all the great love and support over at lifestyle finesse because some of the outfits I post on here may or may not be over there and vice versa, and I promise you this is the last time I will be changing blogs. It has been a crazy past few months and I tend to dabble in too much at times! If you could also like me on Facebook? I would love you forever! I just created my PAGE today, also I’m always so happy to read some of your tweets and see what you are up to on instagram so let’s continue the party over there too shall we! Why stop there right. I have a new youtube channel as welllllllll. Okay that is all! 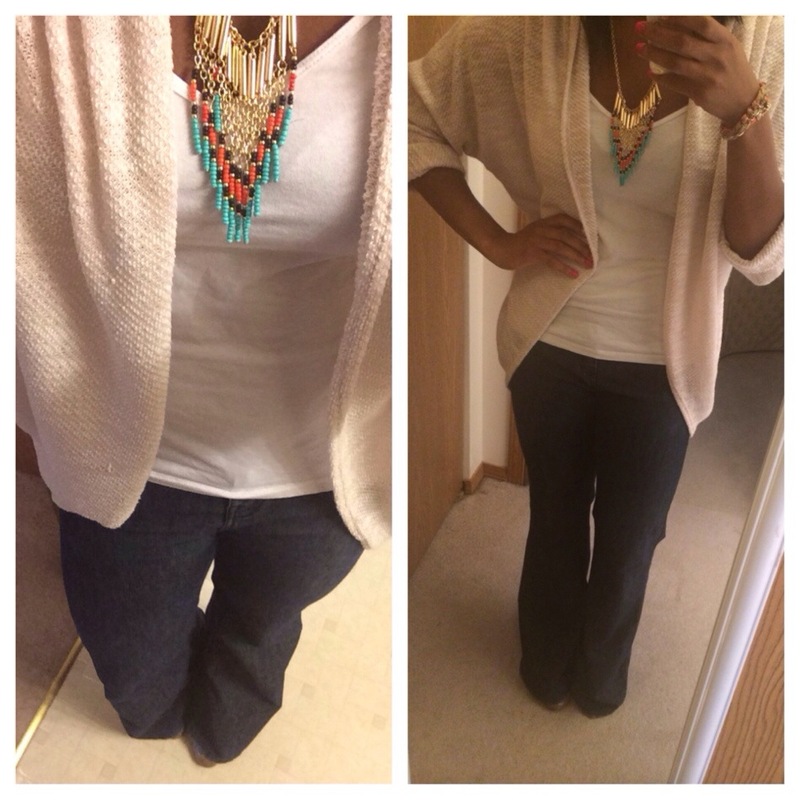 April 16, 2014 April 16, 2014 | Jodi-Kay E.
Normally I’m not a huge fan if jeans but today I was willing to make an accept ion. Doing happy hour with a few friends after work today and I didn’t really feel like dressing up, here’s to proof that a great necklace can make any outfit that much more tres chic! 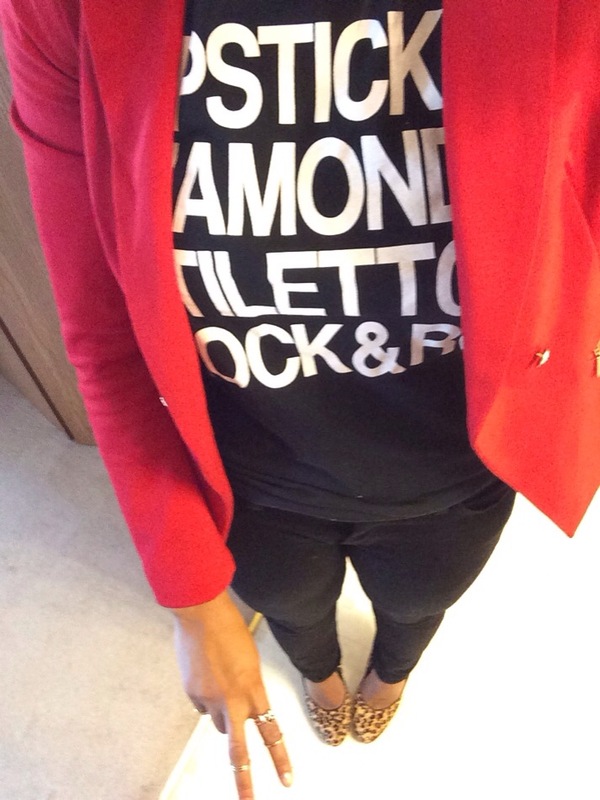 April 15, 2014 April 15, 2014 | Jodi-Kay E.
Decided to take a little edginess into the office today. I find myself slipping into a new style lately it fits me and I really like it. Anyone else find themselves trying something new lately? 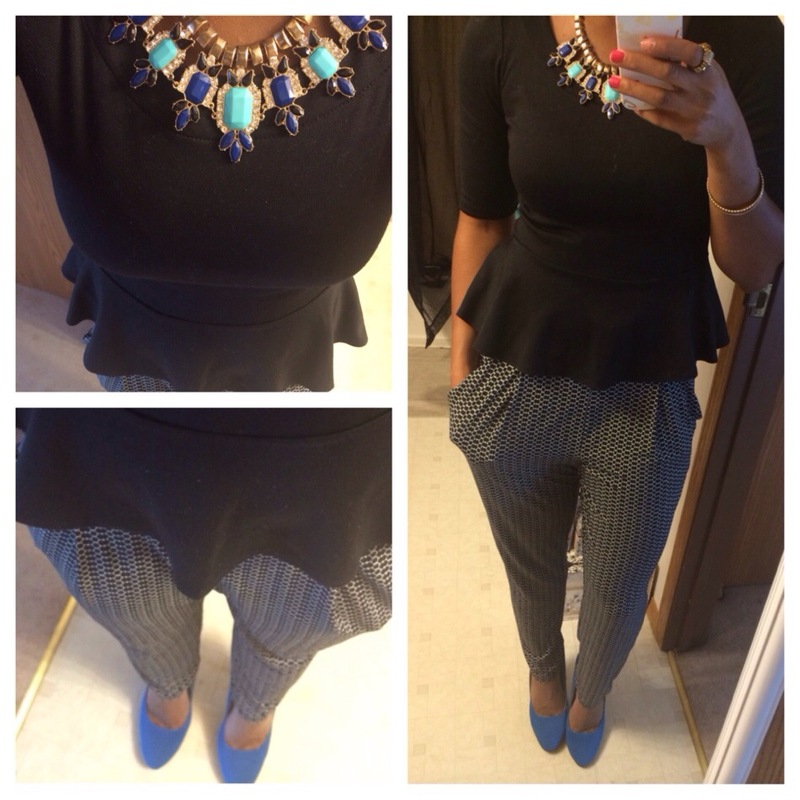 April 13, 2014 | Jodi-Kay E.
April 10, 2014 | Jodi-Kay E.
These are probably my favorite pants everrrrr, they get a lot of wear and they are super comfy! So thankful I stalked Khols until they were back in stock. I really love JLO’s line of clothing there so between her Vera and Rock & Republic Khols keeps me looking classy chic on and off the clock. Check out the link I have to the right and see what you can find on Khols.com today! They always have amazing deals so check back often! April 9, 2014 April 9, 2014 | Jodi-Kay E.
Sick of all my bad spring puns, oh just you wait. 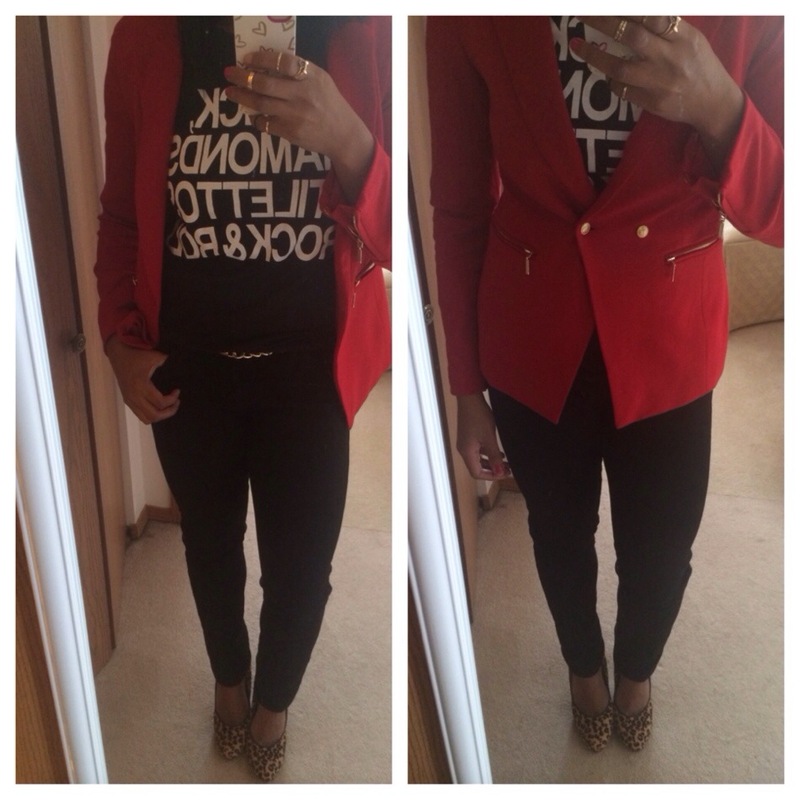 Today’s outfit was made out of sheer laziness (another bad pun) my sheer blazer actually inspired me to put these together and since the snow has finally melted I was more than happy to break out the white pumps to complete today’s look. Don’t forget to find me on ig! #jodikayedwards I get a lot of my inspiration from you guys!